One of my favourite times for fell running is early in the morning. On the short drive out to the Peak District, passing cars heading in the other direction I reminded myself how lucky I am to be going for a run when the rest of the world is heading for the office! Today the skies were blue and although the sun was up it had yet to warm the air and the chill breeze meant that a windproof was needed. 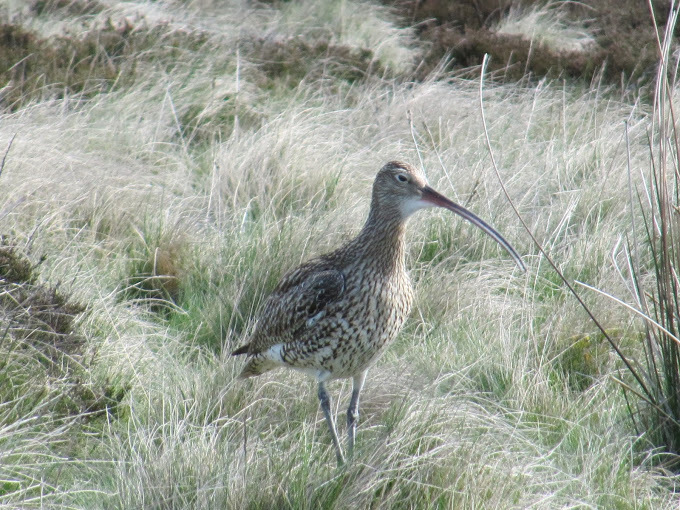 As I was getting changed the distinctive call of a curlew drew my attention and I saw a pair of birds on the moor close to the road. I love easy runs when I can focus on the natural sights and sounds around me, nature is my earphones! 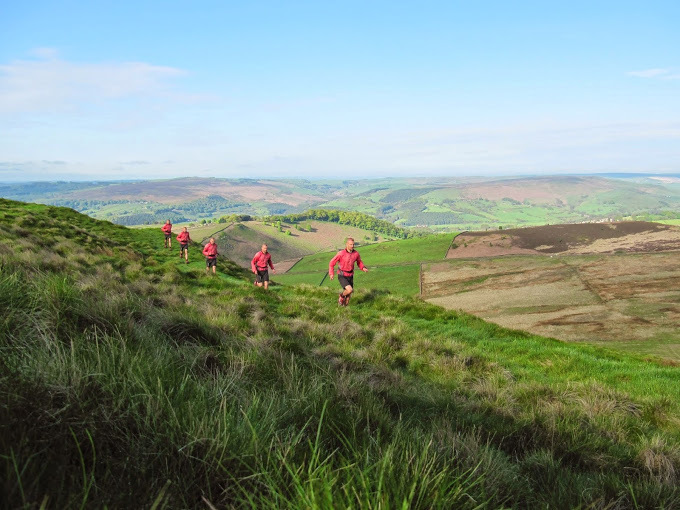 My run took me along the edge of steep ground with a fantastic view of the Hope Valley. Crossing the minor road I climbed Higger Tor and crossed its flat summit before dropping off the south side. 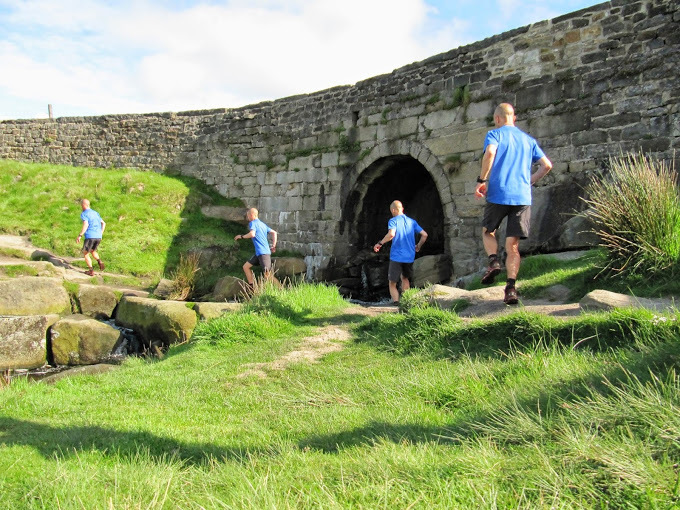 Easy running and a few short, steep steps brought me onto the old fort of Carl’s Wark, another flat top with a jumble of gritstone boulders on its southern flank giving way to easier running on a grass, heather and bilberry slope. I headed downhill aiming to cross the pretty Burbage Brook by means of a hop over the rocks. Warmer now I stopped to take off my jacket and spent a couple of moments soaking in the atmosphere: the warm sun, the burbling of the stream and the sound of a cuckoo in the woods to the north. How wonderful fell running can be! Setting off again I climbed gradually up to the wide trail that bisects the valley and turned north towards the cuckoo. 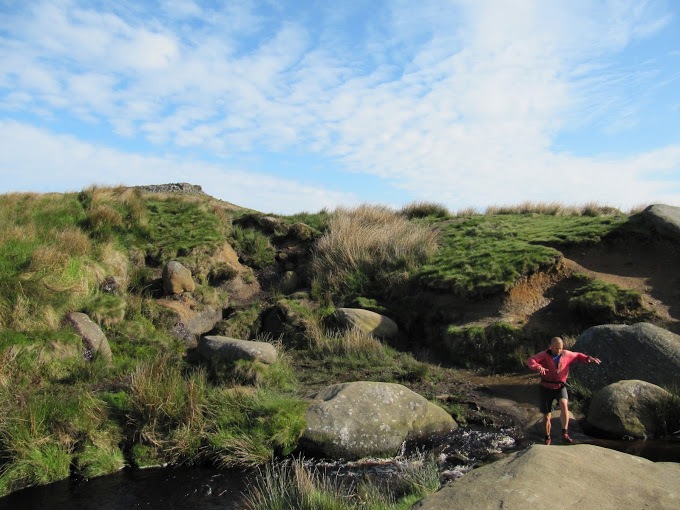 The trail gives fantastic views with natural and quarried gritstone edges to the east whilst to the west there is the forest and brook with Carl’s Wark and Higger Tor standing proud beyond. As I neared the head of the valley, from the rocks to my right I heard a different, rarer sound: the high pitched cheep of a Ring Ouzel. This small, blackbird like migrating bird visits the Peak District crags in summer to breed before heading back to warmer climes in winter. Leaving the thrush to it’s territorial feud I approached the end of the trail and below Burbage Bridge I crossed the stream again, swinging back towards Higger Tor. Almost finished, as I approached the car I again noticed the curlews. I must have been closer to their ground nest this time as they were much more vocal in their calls. One bird flew noisy circles around me before landing only a few feet away in a determined effort to distract me from its precious home. Run finished, and not yet 9.00am. A morning of blue sky and birdsong and I’m again reminded of how fantastic trail running and fell running in the Peak District can be. 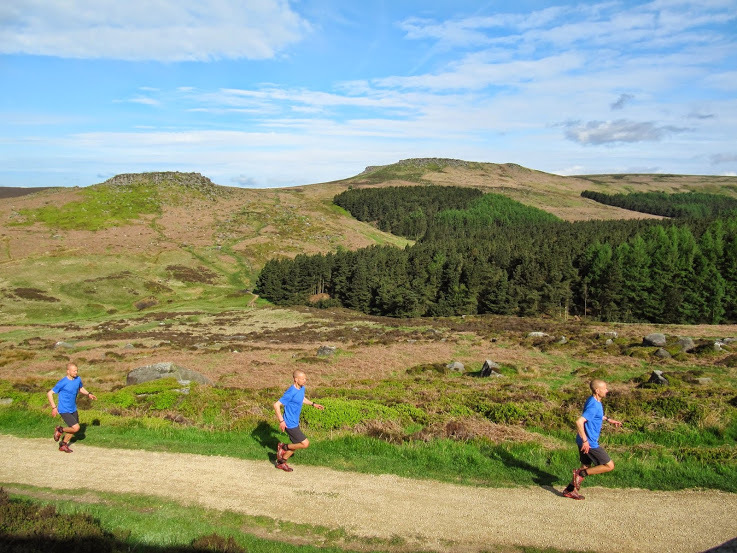 Posted in Blog, Fell running, Peak District, Trail Running and tagged Burbage Valley, Carl Wark, Higger Tor.